The Children’s Book Council of Australia has recently announced the shortlist for its annual book awards. The final winners, and honour books, will be announced during Book Week in August. Harris, Christine – It’s a Miroocool! You’ll find more information, including the Short List and the Notables Book list at the CBCA website. Another guest blogster today with Nathan from Year 7. Have a look at Nathan’s review of Department 11 by Will Hill, then have a look at the suggested links. An average day, an average teenager, an average mum, except nothing is normal. When life as we know it takes a rough turn, who will save humanity? 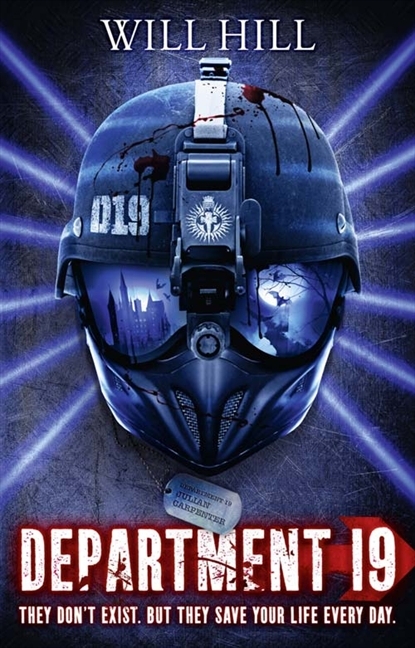 When Jamie Carpenter was 12 his father was killed, a traitor to his country, who killed 3 people, Jamie finds out that his father was working for a top secret department called Department 19. Jamie’s day takes an unexpected twist when he was pushed into joining the Department, to make up for his father’s bloody past. Joining the department means giving up normal and forgetting the logics of the world we once knew. Will you join the never endless war between humans and vampires? A surprising new friend, a vampire girlfriend, things can’t seem to get any stranger. When the world’s second oldest vampire Alexandru Rusmanov is on a rampage with Jamie’s mum held for prisoner, will Jamie worry about finding about his father’s life or saving his Mum? You might also enjoy visiting the official Department 19 website here. From there why not head over to Will Hill’s blog and see what else he’s writing about. I noticed just recently that he was advertising an audio streaming of this book so it’s a great idea to have a look at the websites and blogs of your favourite authors. We have a guest blogster today. Francesco from Year 7, has written the following piece about The Witches, by Roald Dahl. This year’s M2 production is ‘The Witches’ and it is going to be a good one. It is based on the novel of the same name and is written by the one of the most famous children’s fiction authors Roald Dahl. Now don’t think ‘Awww. I hate fantasy novels. Witches are magical’ this novel is an extremely non-fairytale version of witches and has an out of this world twist on witches. These are based on modern, real-life witches. I don’t want to spoil too much but these witches are extremely evil and vile and you would not expect what’s coming around the corner when you turn the page. This novel is about a boy and his grandmother who travel to England for a nice break and come across the English meeting of witches (RSPCC) which the boy witnesses. From there, the boy and his new friend Bruno and his Grandmother try to get rid of all the witches of England and get rid of the most evil witch in the world…The Grand High Witch Of All The World. It is truly a fantastic novel and I am sure you would love to read it. Gruesome and spellbinding you would not want to put this book down even for a second. If you want to do further research look on the links and watch the book trailer and even if you don’t want to read the book you could even watch the movie. I hope you choose this book because I have found it absolutely precious. You can find the book in the “D” section of the Fiction. 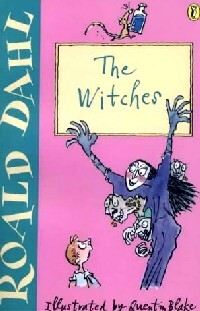 You might also like to have a look at the following links relating to Roald Dahl and The Witches. The Witches book at Wikipedia. Roald Dahl – The official site. You might also enjoy having a look at the following Youtube video – the trailer to the movie of The Witches. 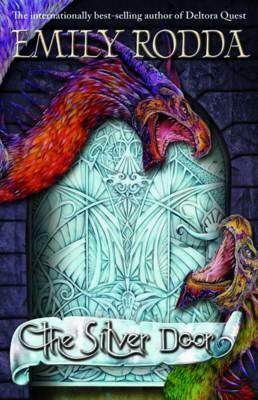 Emily Rodda has written a wonderful new series called The Three Doors Trilogy. Time to choose: Wood? Silver? Gold? Rye’s home is the walled city of Weld. His people have been living here safely and happily for a long time, but now the city is under attack. At night flying creatures, Skimmers, come out, attacking anything living. People are being killed and there is a great deal of destruction. Once darkness comes, all of the townspeople move indoors. They need to be very quiet or else the Skimmers will seek them out and attack. Their houses need to be protected. Any hole or opening in the house must be sealed each evening to prevent Skimmers getting in and attacking. Nobody knows who the enemy is nor where it is. The Warden of Weld asks for volunteers to find and destroy the Enemy. Rye’s brothers join those heroes who set out to discover the source of the Skimmers, but they, and many other young heroes, never return. Rye is too young to go, but his circumstances change and he feels he must go to find them. And so he finds himself in the chamber, looking at the three doors: gold, silver and wood. 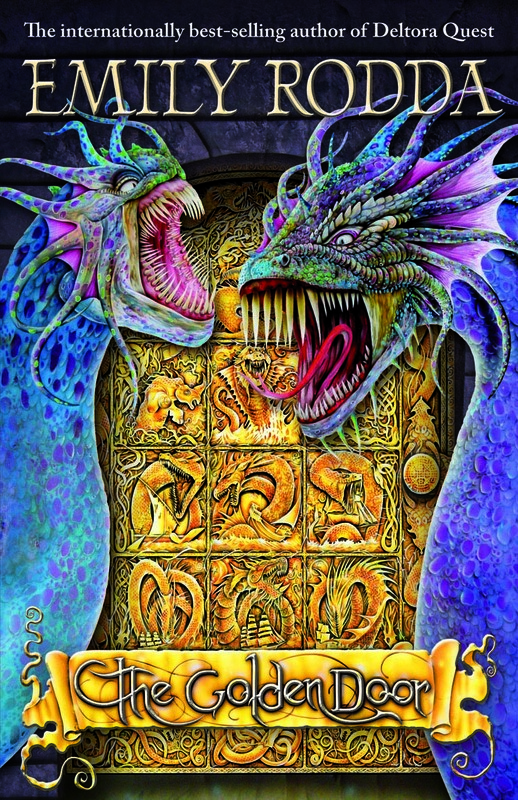 Join Rye in his adventures in this first book of the series, The Golden Door. Waiting for you when you finish is the second book in the series, The Silver Door. If you’ve enjoyed reading other fantasy books by Emily Rodda, Rowan of Rin and the Deltora Quest, then you’re bound to enjoy this new series. This first book has been shortlisted in the CBCA Book Awards for 2012. I’m sure it will find a great many readers. I can highly recommend this new series. There’s some new books in our Library just for those of you who love to know all the ins and outs of your footy team. Here’s two AFL books for you to browse through. 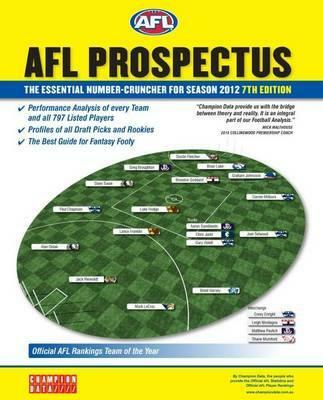 The AFL Prospectus is chock full of everything you needed to know about your team and all the opposing teams. Check out the data for each team, including all that vital knowledge on this season’s rookies. Lots of data is provided and analysed to give you insights to all manner of things. Have you ever wondered how far each team is travelling to their matches for instance? Well wonder no more. Just have a browse at this book. Every team and player has been profiled, and this information might help you decide which way your footy tipping goes. There is information on the new rule changes and all the stats provided can help you decide who will be members in your 2012 Dream Team. 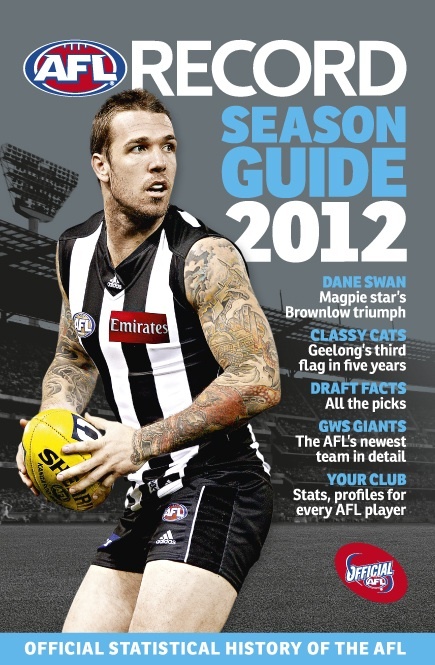 The AFL Record Season Guide 2012 is another book crammed with facts, history and information. You’ll find Collingwood player Dane Swan on the cover this year, keeping with the tradition of featuring the reigning Browlow medalist on the cover. 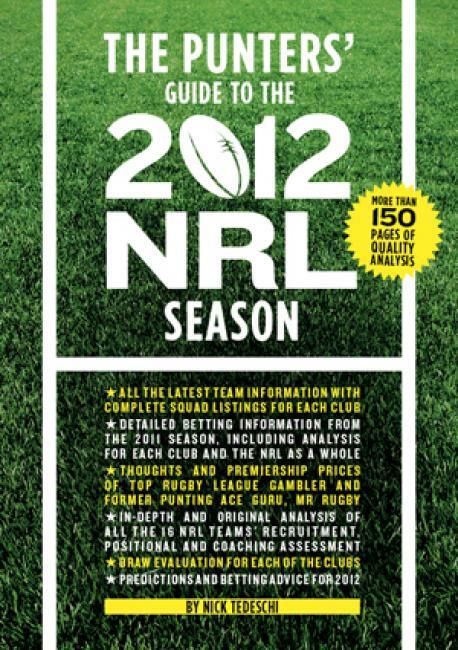 For those of you more interested in the NRL, then maybe take a look at this book. As with the AFL books this one gives you an insider’s look at the teams and players of the 2012 season. There’s commentary on each of the club’s, the positions each team member plays and looks at their strengths and weaknesses. There’s some information on past seasons and each of the club’s allocated draw is evaluated. There’s lots more sports books in our Library. Have a browse on the shelves in the 796 section. The Children’s Book Council of Australia has recently released their shortlisted books for 2012. Here are the final six for each category. Hartnett, Sonya Ill. Lucia Masciullo – Come Down, Cat! Honey, Elizabeth – That’s Not a Daffodil! Blackwood, Freya Text Libby Gleeson – Look, a Book! Congratulations to all of those nominated for the short list. I can certainly see some books I’ve enjoyed there. I have spent some time over the holidays exploring the books of Brian Selznik recently. He’s written The Invention of Hugo Cabret and more recently Wonderstruck. You might know Hugo Cabret because the film Hugo is based on this book. It’s a wonderful film and a great book. In both books Selznick has created an amazing mix of picture book, graphic novel and film, resulting in books to treasure. The illustrations in Hugo Cabret are wonderful and you can see much of the story unfolding through these black and white illustrations. Along the way there are chapters of text which tell the reader more of the story. Blended together they tell us about Hugo and we can piece together the mystery that surrounds Hugo, the old man, a young girl and the automaton that Hugo is trying to restore. Set in Paris, this is a book to read and explore, then read some more. If you can see the movie then do so. It’s wonderful. Watch this video to hear how the author got his ideas for writing The Invention of Hugo Cabret. Head on over to the Hugo Cabret website for lots more information about the book too. It’s at http://www.theinventionofhugocabret.com/index.htm and there’s lots of things to explore there. 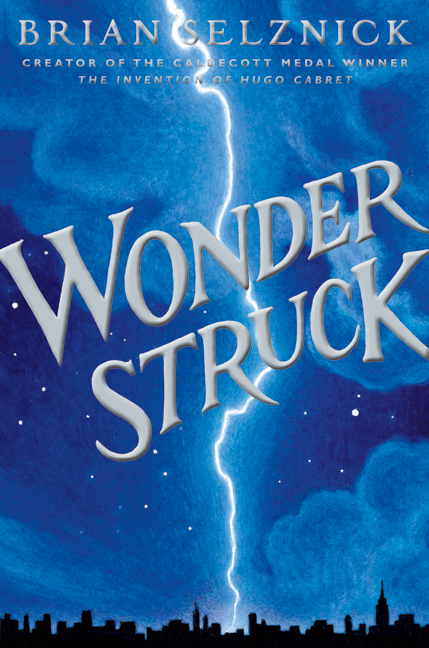 Selznick’s latest book is Wonderstruck. It’s structured in a very similar way to Hugo Cabret, in that there are chapters of text then chapters of black and white illustrations telling more about the story. There are two stories running along side each other here, one set in New York in 1927, the other in 1977. The story set in 1927 is told completely through illustration, whilst the 1977 story is told in text. Eventually the two stories come together. Have a look at this video to see more about Selnick’s ideas that led him to write this book.